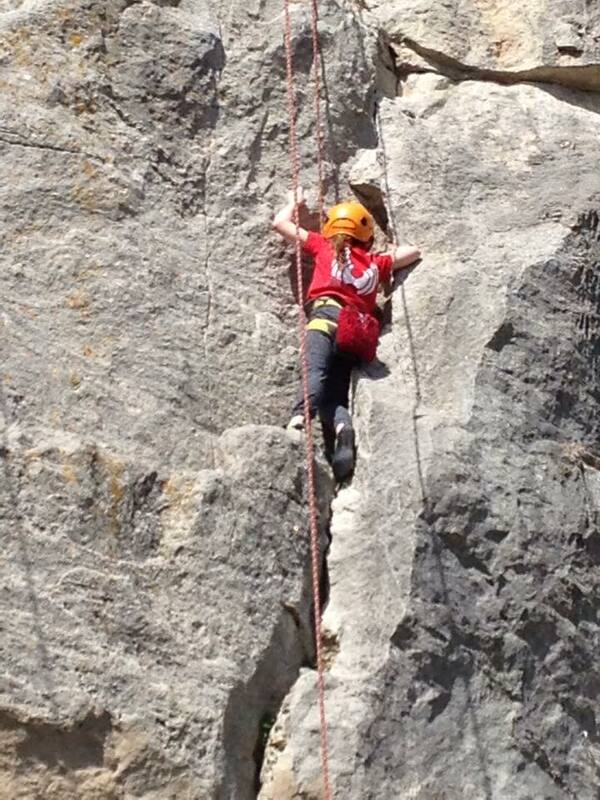 Rock Climbing! Spring is here, time to go Rock Climbing! Spring and summer is a key time of year for most of the performance squad. With the majority of competitions over for the year they get their chance to put their competition fitness and strength to use on rock, which is starting to become a bit drier and nicer to climb on after the winter months. Rock climbing is key for their development at climbers. Not just opening up the world of rock climbing to them and getting them outdoors in stunning locations for days of fantastic climbing. But also in developing their climbing skills further. Rock climbing helps us as coaches develop a number of key areas. With routes being longer and bolts often much further apart than indoors rock climbing has a key part to play in building every climbers confidence. The sequences are much harder to read, as you’re no longer following that line of nicely coloured holds. Looking out for dabs of chalk, polish or black marks where climbing shoes have frequently being placed. Then reading the sequence and committing to it, all are vital skills which are key when back in the competition environment come winter. The skills aren’t just cognitive, but also physical as well. With foot holds being smaller for the grade than indoors requiring much more precision and on Limestone often lacking the friction of indoor holds. With these key differences it was going to be interesting to see how the Squad converted their indoor skills to rock climbing. The day was organized by Be Fuller the Performance Squad head coach and we took 6 children. 3 of them squad members and 3 non-members but still very proficient youth climbers. The day started with an introduction to the rock on some interesting but definitely not easy 4’s. Whilst I took an older member of the squad on a tour of some of the classic routes available at the Cuttings, Portland. While Nat got stuck into such classics as Consommé (6a+), Too Many Cooks Spoil the Broth (6b), New Saladin (6c) and Dumbfounded (7b) the other members worked their way through the grades and styles. Practicing corners, cracks and slabs. As anyone whose climbed at the Cuttings will attest the easier routes often feel harder then the higher graded classics. Often featuring mirror like foot holds and bad hand holds, only made the grade but the sheer abundance of bad holds and the slightly less vertical angle of the rock. 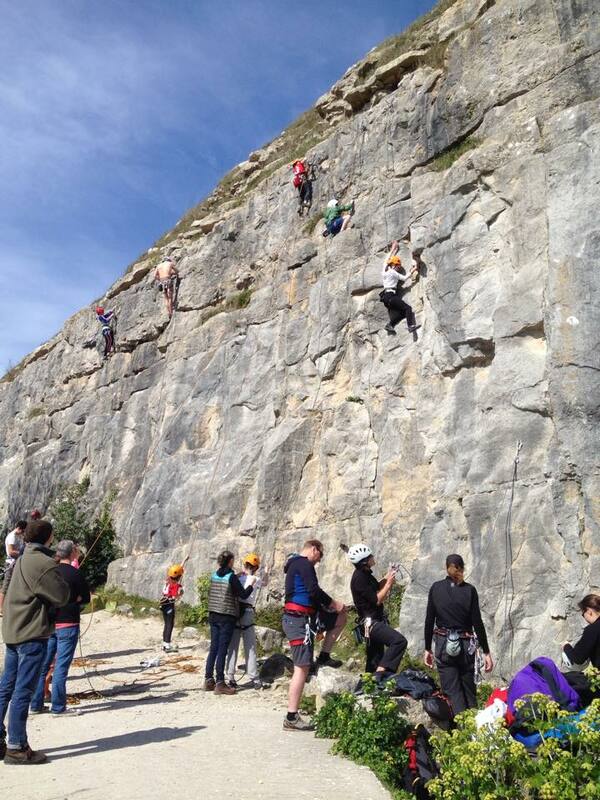 However, all the squad excelled at this putting their training into effect effortlessly climbing the routes. After a very relaxed lunch in the sun the afternoon’s attention was bouldering. With the younger members of the squad not quite having the reach to sample the harder problems in the area we found a nice bay with a good selection of cracks and arrets that they could sample. Once again the squad and non-squad climbers showed how talented they where effortless applying their technique to the boulder problems. The trip was a huge success with all in the squad and non-squad refining their technique. With summer only just around the corner this looking to be an exciting time for the squad. Special mentions need to be made to Nat for very nearly onsighting 7b, Lucy & Ella for giving everything 100%, Tom and Fraser for their amazing bouldering and Rosie and Alice for doing some of their first outdoor climbs in great style and also giving anything they couldn’t do one more try. Jon Redshaw is a professional climbing coach based in Godalming, Surrey he offers climbing coaching throughout London and the South East of England. He can offer climbing coaching for all levels; beginner to advanced, whether on rock or plastic His sessions can cover Technique, Strength, Fitness, Conditioning and Psychology for Climbing. 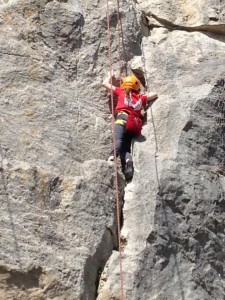 As well as technical and safety aspects of rock climbing. He also works alongside leading Health Professionals to help climbers rehabilitate from injuries or offer training programs to help prevent injury.